"To take a photograph is to align the head, the eye and the heart. It's a way of life"
Born in Chanteloup-en-Brie, Seine-et-Marne, Henri Cartier-Bresson developed a strong fascination with painting early on, and particularly with Surrealism. In 1932, after spending a year in the Ivory Coast, he discovered the Leica – his camera of choice after that moment – and began a life-long passion for photography. In 1933, he had his first exhibition at the Julien Levy Gallery in New York. He later made films with Jean Renoir. Taken prisoner of war in 1940, he escaped on his third attempt in 1943 and subsequently joined an underground organization to assist prisoners and escapees. In 1945, he photographed the liberation of Paris with a group of professional journalists and then filmed the documentary Le Retour (The Return). From 1968, he began to curtail his photographic activities, preferring to concentrate on drawing and painting. 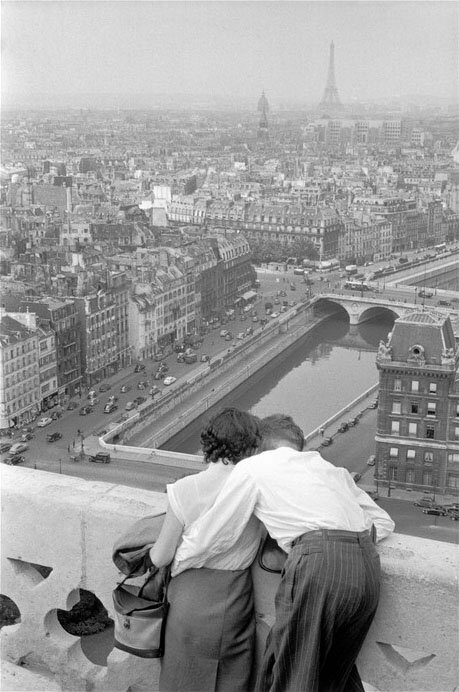 In 2003, with his wife and daughter, he created the Fondation Henri Cartier-Bresson in Paris for the preservation of his work. Cartier-Bresson received an extraordinary number of prizes, awards, and honorary doctorates. He died at his home in Provence on 3 August 2004, a few weeks short of his 96th birthday.